with YOU in mind and my prayer is that you enjoy what I have to give. Love ya! Hey fam! So I am back with a new series where I go through some of the scriptures I believe the Holy Spirit has illuminated during my study time and I want to share with you! I pray you are blessed, encouraged, enlightened, and whatever else lol by what I share. In the series premiere, I am breaking down one of my favs, and a highly abused verse; Psalm 37:4. Hope you enjoy! Hey ladies! So this question: Are You A Woman of Integrity? has been burning in my heart. I urge you to take a good look at yourself, ask God to search you, and really ask yourself this question. I would love to read your thoughts below! The Struggle is REAL. Let's talk about pride + the spirit of offense and how we can overcome through the Word of God! Let's talk about correction, admonishment, rebuke... whatever you want to call it lol, in the body of Christ! Comment below with your thoughts on the topic. Have you ever been corrected or needed to correct someone else? Talk to me! Hi guys!!! So I'm super excited to share the next episode of my new show, L.I.T. It stands for Living in Truth and I'm interviewing young men of God who are truly living in God's truth in all areas of their lives. Today's guest is none of other than my lil bro, Jazer Willis, a 17-year-old senior with aspirations to one day be a Pastor. Tune in if you would like to hear about the way he continues to LIT. Hey! Have you ever heard a story and thought to yourself "That was God right there"? This is what my new series is all about. I want to encourage us all with short stories of God's faithfulness, provision, and love for us. Today I'm talking about my experience giving when I didn't want to and how God showed up and showed out! Comment below! Hey hey! Have you ever felt persecuted or judged by your own family in the body of Christ because you do not hold the same personal convictions as they do? Have you ever been judgmental towards others due to your own personal convictions? Check out my new video that explores this topic of personal convictions vs what the bible actually says. Hey! So this was an impromptu video. I had the impression on my heart that God was revealing the top 4 things that lead me to stray away from what He is calling me to do. I pray this video helps you realize why you have been getting stuck and causes you to do something about it! Click the pic and enjoy! Hey hey! Want to hear about a few great books I've read? If yes, click the pic to learn more. Love ya! Hey!! So I decided to film this video after coming across some verses about being hated by the world for being a disciple of Jesus Christ. If you have ever struggled with opposition, shade, hate, etc. from family/friends and/or the world in general, this one if for you! 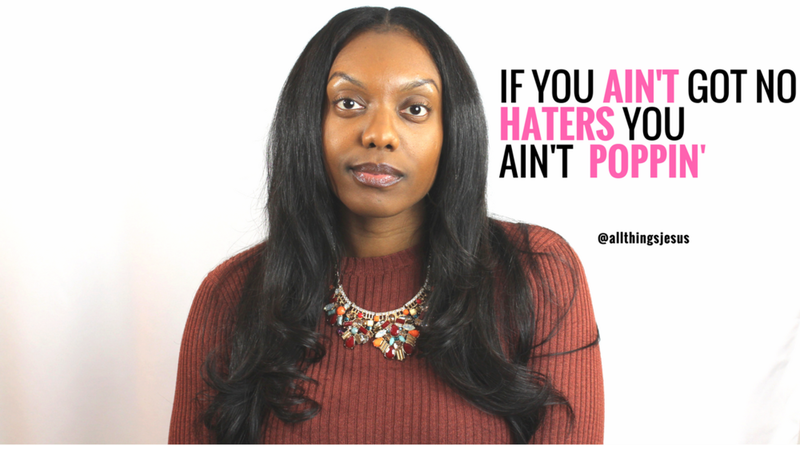 I talk about the 3 ways I handle persecution. Hey!! So I haven't lost my mind if that's what you're thinking with this title lol. Watch and you'll see the words of encouragement I was given by a good friend that I wanted to pass on to you! Hey!!! Do you have a vision for your life? Is it your vision or God's? Check out my video on the importance of casting the vision for your life on vision boards and the like, only after you establish if it the vision God has for your life. Grab your journal and bible as we dig into some of Habakkuk to help us understand this concept! Click the video and enjoy! Go ahead and click that pic to check out my latest video! Be sure to like, comment, and subscribe!! Thank you for watching! Have you ever struggled with hearing from God? Felt like He just doesn't talk to you or always second guessing if it's Him or you when He actually does speak? Then this one is for you! Have you ever thought to yourself, where are all the REAL Christian men? Well let me introduce you to my new series, LIT. I'll be showcasing men who are Living in truth. They are young men after God's own heart, single, celibate, and just living out the Word of God in practical ways in every day life. Sooo this one is personal. Hence all the hesitation in my voice lol. But I wanted to be transparent and really let you in to one of the most pivotal periods of my life. This story time is pretty much how I got to where I am today... so watch and I hope you enjoy! Are you desiring marriage? Are you honestly asking God which areas you should be working on to better yourself in your single season? If your answer was yes, then this one is for you! How God Ended My Relationship! Have you ever stayed in a toxic relationship knowing it was time to move on? 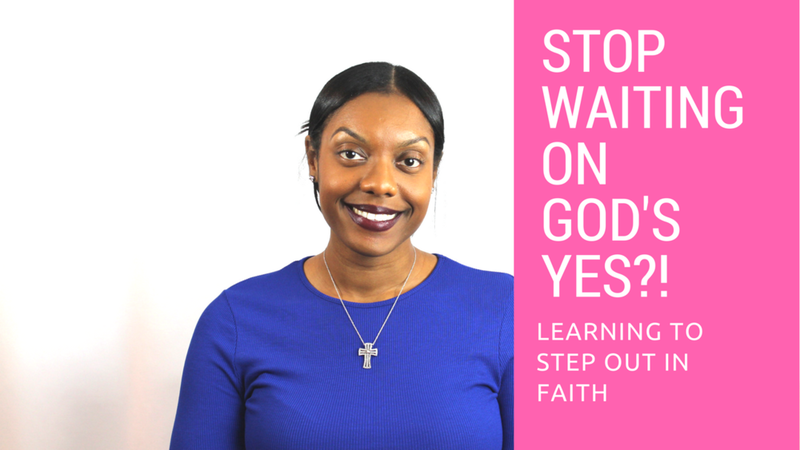 This is my story about how God led me out of a relationship He didn't ordain for me to be in, in the first place! Press play to find out how I learned this the hard way. Want to hear some hilarious stories about my experiences with online dating? I tried quite a few sites before I called it quits, "Plenty of Fish", "Tinder", and "Ok Cupid". Find out what I learned by clicking that play button! Ever felt hidden by God when it comes to that godly mate you're desiring? Do you want to find contentment, peace, and courage in your single season? Then this video is most certainly a must watch. Find out exactly why God designed you to be hidden until the right one comes around to recognize your worth. Are You the Type of Mate You're Praying For? Sometimes we ask God to show us things in others we don't even yet possess in ourselves. 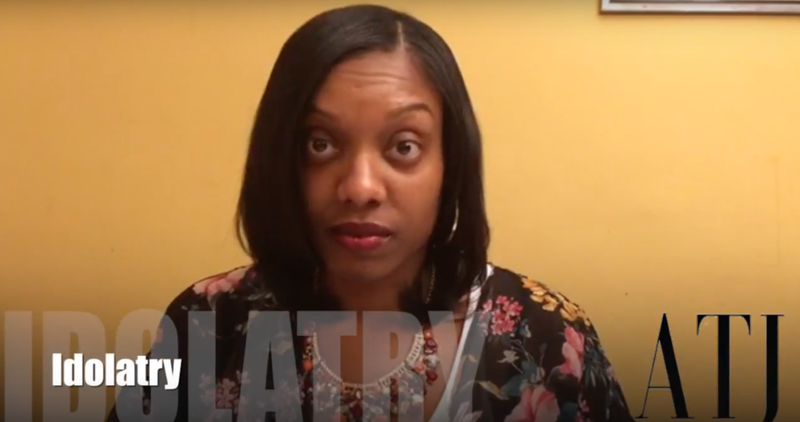 In this video I discuss 4 areas that I needed to seriously ask God if I were "leveling up" in before asking a man to meet my requirements. Learn how to match the fly of your perspective mate after watching this video! 5 Keys To An Active Prayer LIFE! Want to take your prayer life to the next level? Watch this! You will discover my 5 personal tips to developing a more enriching and powerful prayer life to deepen your relationship with our Heavenly Father. Don't let the devil bully you! Have you been suffering from negative thoughts from the enemy? Watch my video to discover how to fight back! God has equipped us with all we need to walk in victory and keep the devil in his rightful place, under our feet. We struggle with Idols everyday, from our mates, children, favorite celebrity, cars, friends... just about anything you can think of. If they come before God and take His place on the throne of your heart, sorry to tell you my friend but Issa idol. Watch my video to discover the truth about idolatry. Can God count on you to do whatever He called YOU to do?! God has a calling on each and every one of our lives and it's up to us to heed to the calling. If God can't count on you He will find another means to fulfill His will. Don't miss your opportunity to see God move in a power way, through you!